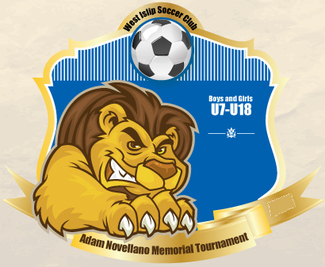 The Adam Novellano Memorial Tournament is held annually in January/February. This indoor tournament will be hosting over 300 teams from numerous towns. The tournaments require many hands and a large number of volunteers to provide a high quality and safe environment for players and families. This tournament is one of West Islip Soccer Club's main fundraisers. We ask that each parent volunteer at least 3 hours. More is encouraged, of course. Only sign up for a shift if you can work the ENTIRE shift. Sorry, but there is no option to volunteer a shorter shift. You CANNOT sign up for a shift when your child's bracket is scheduled to be played. Your shift request will get denied if you do, and as a result, your team may not earn enough volunteer hours. You're likely to sign up before your child's bracket schedule is known. Therefore we strongly recommend that you volunteer on days that your child's team is not scheduled to play. Once you sign up for a shift, YOU are responsible to find someone to cover for you in case you cannot make it. ADULTS only (as non-adult hours will not count towards the team's volunteer hours; children can receive community service recognition; do not sign up children using this system). Make sure you SIGN IN and OUT at the location when you show up and leave for your shift. Yes, you're volunteering, but you're earning credits for your team to receive a travel stipend.